Who doesn’t love a transformation? What can be more inspiring than watching an underdog rise from the dregs? Isn’t that how Susan Boyle shot to overnight stardom on The X Factor? If she had been your average, well-adjusted middle-aged woman, who would have given a damn about her old-fashioned musical number? Her magic formula was her visible metamorphosis onstage from classic misfit to soaring songstress, with an apt song choice that accompanied her ‘unreachable dream’. 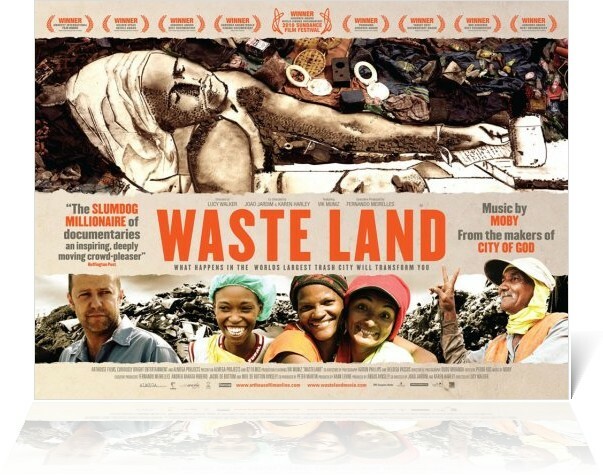 That is what Waste Land (2010) is about. 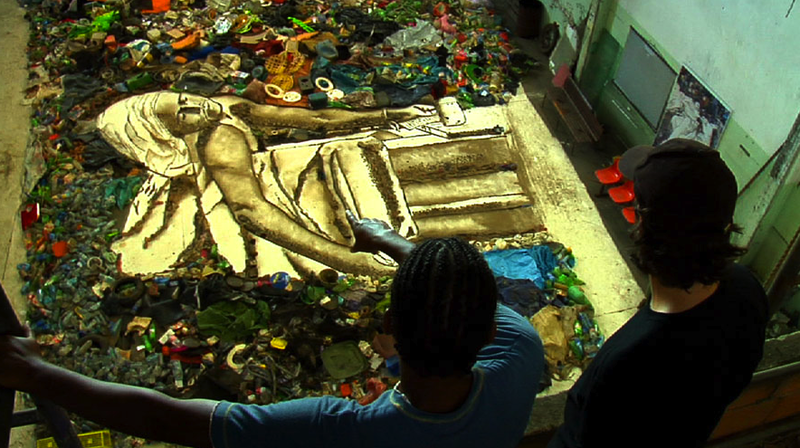 It is a story about making art with garbage – trash from the largest landfill in the world (Jardim Gramacho) and the ‘human trash’ that dwell in it. 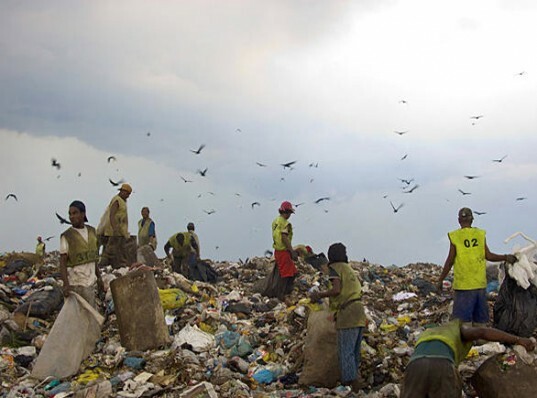 It is a land the polite society would love to forget – a land where human ‘scavengers’ lurk around trucks heaped with decomposing dregs the rest of the world throws out. When you throw out old yoghurt, leftover dinners, films, books, bits and pieces of your past that no longer have a place in your life, they end up there where they are sorted out and recycled, eaten, and sometimes even read and archived in a library somewhere on the sprawling 321-acre open-air dump. 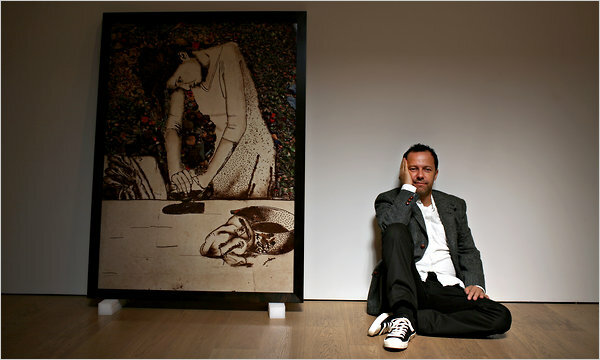 The documentary is about how Brazilian-born, American-based artist Vik Muniz collaborates with a group of catadores – he takes their portrait, magnifies it and projects it on the floor of an art studio. And using a laser pointer, he directs pickers to recreate their own image with garbage, which he photographs as finished artworks. 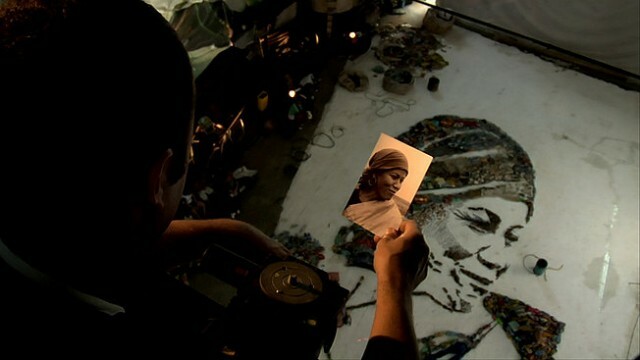 Proceeds from the prints and film (approx USD276,000 ) went back to the pickers. Ultimately, the film is about the power of art (both the portraits and the film itself) to transform these ‘social rejects’. As a movie, it’s not quite X-Men. The protagonists won’t sprout adamantium claws or grow wings, but I promise you, they evolve into something no less beautiful. In the vein of Forrest Gump and Slum Dog Millionaire, this is the ultimate underdog film. Perfect if you are feeling low and need a pick-me-up. But what do you think about critics’ suggestion that the movie is exploitative? See The Guardian’s review.